Can I get a CHL with a DWI conviction? Texans love guns. We love booze. We live in a state with crappy public transportation. The result? A lot of people with concealed handgun licenses (CHL) get arrested for DWI in Texas. And a lot of people who want to get a CHL have a DWI conviction on their record. The answer is no, you can’t get a CHL after a DWI conviction, at least for a while. There are many different offenses with the word “assault” in them in Texas. Assault by Contact, Assault on a Public Servant, Sexual Assault, Assault Family Violence, Assault by Contact (Class C) etc. 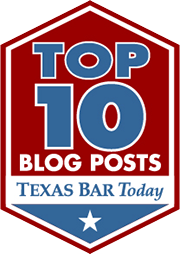 Section 22.01 of the Texas Penal Code covers a broad range of conduct, everything from Class C misdemeanor assaults to Second Degree Felony Assault. Let’s dive into the statute and see what’s going on here. First up, what is an assault in Texas? What’s the law on kidnapping in Texas? The Dallas Court of Appeals recently upheld a Rockwall County kidnapping conviction. Let’s look at the laws regarding kidnapping in Texas, and discuss the facts that led to the courts decision. Here’s the case- Wilson vs. State of Texas- I usually go through all the facts of the case, but this one has a really weird fact pattern, and I think that’s why the defendant got probation. It just not what you think of when you think of a kidnapping. So I’m going to skip it so we can cover some other areas. First, what’s the law on kidnapping in Texas? Does the Texas Transportation code (implied consent) trump the 4th amendment? If there is one thing law enforcement hates, it’s the 4th Amendment’s requirement to get a warrant before searching. The reason? Warrants require an officer to have probable cause, and to explain said probable cause (in writing) before getting what they want (searching your house, stealing your blood etc). Warrants provide some degree of accountability for LEO, a very minor check on the almost limitless power of the State. Today let’s talk about searching your body, specifically your veins. In our DWI police state your blood is merely another piece of evidence for the State to gather, and they will hold you down GITMO style to do so. The Supreme Court recently decided a case called McNeely vs. Missouri, which upheld the controversial position that holding down a DWI suspect and taking his blood without consent is a search, and a warrant is required unless there is some kind of emergency. I say this in controversial because a) prosecutors and law enforcement hate this idea and b) the Constitution usually doesn’t apply to DWI suspects. So the Supreme Court rules on this blood search issue and now it’s up to Texas’ appellate courts to uphold this Constitutional safeguard. The problem is our appellate courts are largely pro-conviction police-state judicial activists who want the Government to win on appeal. Don’t believe me, today’s case of the day is Reeder Vs State from the Texarkana Court of Appeals. When I first started DWI defense lawyering blood draws were pretty rare in DWI cases, but today they are becoming more common with the “no refusal” weekends etc. This has caused some problems as far the ALR/driver license suspensions are concerned. How does a blood draw affect your drivers license? Let’s take a look. When Texas set up the ALR hearing system to suspend drivers licenses after DWI arrests they had breath tests in mind. That is, the State would know the bac result from the breath test at the time the defendant was arrested, so if the defendant failed, then the cops would notify DPS to suspend their license. The law in Texas states that after being arrested you have 15 days to call DPS and ask for an ALR hearing to challenge your license suspension. If you don’t request a hearing, then your license will be suspended after 40 days (from the date of arrest). If you do request a hearing within 15 days your license is good until the hearing and then only if the judge rules against you (which usually happens, the ALR game is rigged so that DPS usually wins, because tuff on crime). Some prosecutors will seek to punish a Defendant who demands a trial and start digging through the case to find an “enhancement” (enhancement increase the possible sentence or limit parole etc). This is more common for Defendants with lengthy criminal histories, but some prosecutors apply this approach to anyone who dares seek a jury trial. For example, a prosecutor may try to enhance certain felony cases because the county did not receive enough rain last year and was declared a disaster area. Our laws are so poorly written, and prosecuting in Texas is so poorly regulated, that these revenge charge enhancements (or trial penalties) are easy to come by if a prosecutor is so inclined. There is literally no risk to the State for piling on new charges or enhancements on every Defendant who seeks a trial.